This project started with building elaborate kinetic sets in order to video-capture a large range of displacement. 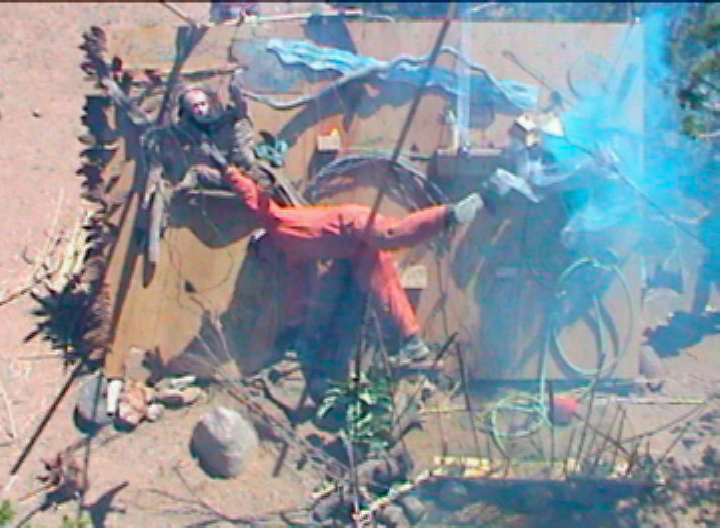 Several artist teams were utilized to charge the rectilinear set simultaneously with differentiated events, expressions of cataclysmic human circumstances. These high-action works emulate some of the formal traditions of abstract expressionist painting, imagist idea constructs and contemporary performance.